Hotels, Guest houses and bed & breakfast in around near Charing Cross London all with real-time confirmed online reservations. 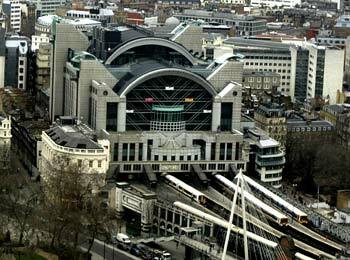 Charing Cross is a district of central London in the City of Westminster. Charing Cross Road is a London street which runs north from Trafalgar Square to St Giles' Circus (the intersection with Oxford Street) and then becomes Tottenham Court Road. 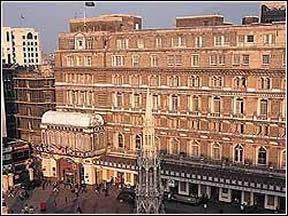 Charing Cross - A Guoman Hotel is a protected historic building, convenient for both the business and leisure traveller. Only a short walk from restaurants, shops and theatres of the West End and a few metres from Trafalgar Square, Charing Cross - A Guoman Hotel is ideally located for exploring the many delights of London. Other fascinating attractions only minutes away include, Covent Garden, 10 Downing Street, the Houses of Parliament, Piccadilly Circus and Regent Street. 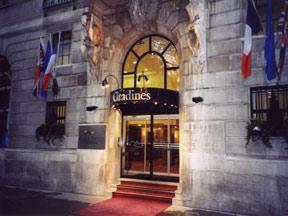 The Aparthotel is just a few minutes from Trafalgar Square, home of the National Gallery (magnificent collections of paintings). The busy streets lined with shops (book lovers should head for Charing Cross Road) lead you down to Covent Garden and Oxford Street, another shoppers paradise. Nearby, St James Park is a perfect place for a walk away from the bustle of the city.